I don't quite know how it's happened, but I turn 30 this year (gulp)... sadly, almost 30 years on this earth has left me noticing fine lines & bags under my eyes, and it's getting worse. Everyone I know that has tried the Estee Lauder Advanced Night Repair range has raved about it, so I thought I'd give the Eye Serum Infusion a go at tackling my problem. It comes in a 15ml tube with a pump applicator - one squirt gives you enough product for both eyes - it really is a tiny amount but a little goes a long way - one bottle will definitely last me a while. 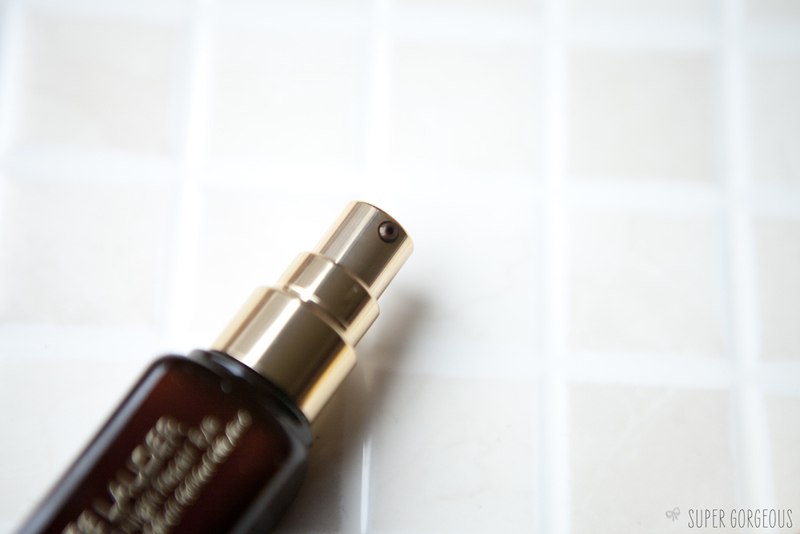 The first thing I notice about the Advanced Night Repair Eye Serum is how hydrating it is. I like to do a little experiment with myself when I apply it in the mornings - I push my cheek upwards to look at my wrinkles, then apply the serum and do the same again - the difference is amazing. It contains Hyaluronic acid which locks in moisture and I definitely see the results of that most prominently. It also contains technology to reduce the signs of damage due to pollution, as well as Exclusive Chronolux Technology which helps your skins natural renewal process to improve the look of the skin around the eye. Anti-oxidants which neutralise the free radicals found in the environment before they can cause future damage are also included - so a product which both repairs and protects. 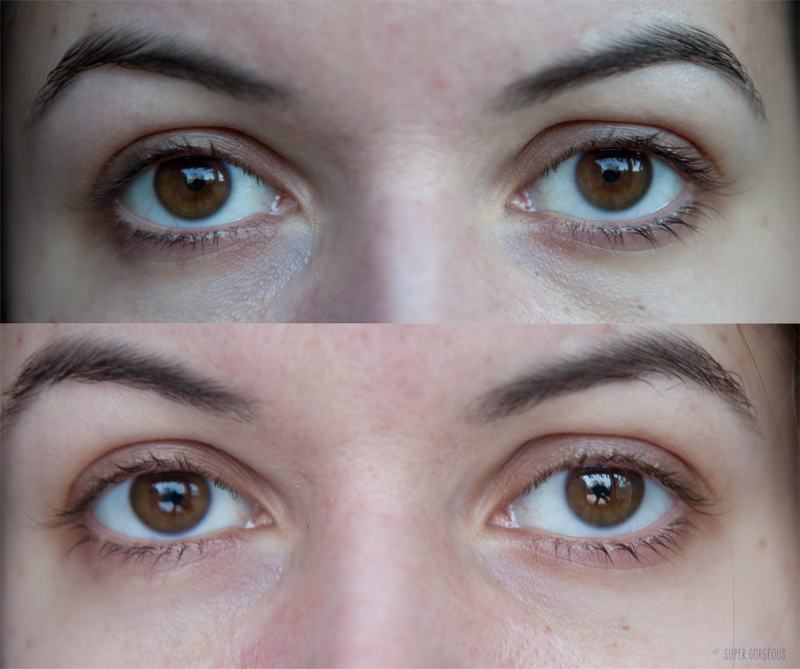 The serum itself is applied morning and night, alone or under eye cream. I've been using it for 3 weeks without an eye cream but already noticing results - as well as my eye area feeling much more hydrated, my puffy bags have reduced, and the fine lines and darker areas are less noticeable. It is very comfortable to wear - it's lightweight, seems to sink in to the skin immediately and leaves the skin under my eyes feeling soft. I don't like using heavy products around my eye as I am aware of how delicate and thin the skin is - this serum seems to have the perfect consistency for me, which is almost water-like. I will continue to use it and can't wait for it to keep improving my eye area - 20 year old skin, here I come! 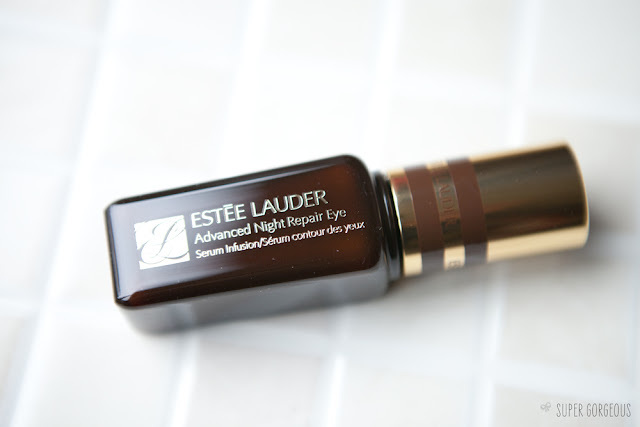 Estee Lauder Advanced Night Repair Serum Infusion costs £45 for 15ml from Selfridges. I agree your skin looks glowing and yes your eyebrows do look gorgeous. I need to get this serum Ive recently hit 44 and feeling it, suddenly my fine lines have grown into canyons. Personally I wouldn't waste that much money on eye cream - Have to say, I'm a fan of Avon Anew Clinical Eye Lift PRO - Works Wonders and it is under £10!